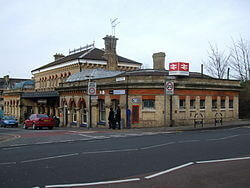 Denmark Hill is a small area within Camberwell, which lies in the borough of Southwark within Inner London. A particularly leafy district, there are excellent views across the city and when it’s clear it is even possible to read the time on Big Ben! There is a major transport interchange at Denmark Hill with a number of mainline train services converging here as well as London Buses. By road, Denmark Hill can be reached via the A215. In 1914, Lanes School of Driving was first established starting out modestly but growing over the years to become the one of the biggest independent driving schools in the UK. More than 100 years of teaching local residents to learn to drive has created experience that simply can’t be matched elsewhere, giving Lanes a unique appeal. We treat all of our students as individuals and everyone who books with us will receive a tailored lesson schedule, designed to suit their needs. Lanes makes it as convenient as possible for you to book your driving lessons, offering flexible appointment arrangements that fit in with your family routine. We will always collect you and drop you off at your home address too, taking the hassle out of learning to drive. All of our cars are equipped with the latest technology so you’ll feel comfortable from the start. 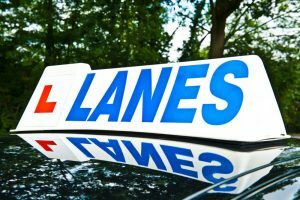 You can be sure that when you book with Lanes your lessons will always be private, and that you will never have to share your instructor with another student in the car. We place high importance on this, another quality which makes Lanes stand out from the crowd. Lanes have been offering driving lessons in Denmark Hill for a long time, so why add your name to the long list of successful candidates? Give us a ring today on 020 8166 5678 or get in touch via email on our contact page by clicking here. 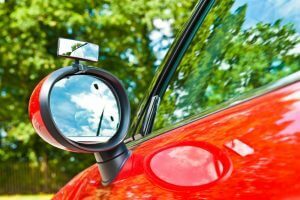 Lanes have a wide and varied team of driving instructors all of whom have both experience and the highest standard of qualification, the DSA Approved Driving Instructor. This means we can be confident in offering all our students the very best tuition which will help them learn to drive quickly, easily and without any pressure. Many of our instructors originally began their training with us and have been with Lanes ever since. We value the instructor-student relationship and we believe this is fundamental to helping you learn to drive in a comfortable and relaxed environment. This is why when you book with Lanes you will have the same person teaching you for each lesson. This continuity not only provides the chance for you to build up trust and confidence but also means the instructor can create the most suitable lesson plan based on your individual needs. To find a Lanes driving instructor in Denmark Hill, get in touch with us today via our contact page by clicking here. Alternatively, you could give us a call now on 020 8166 5678. Learning to drive means acquiring lots of new skills which isn’t always easy when you’re doing it in front of a stranger. All of our driving instructors are patient and supportive and will go out of their way to put students at ease, but despite this it can still be a little daunting. Our female students sometimes prefer a female driving instructor and we are more than happy to fulfil any requests. We have a team of female driving instructors in all our locations and have found that in many cases, this can help to provide reassurance to our female students. If you’d like to know more about booking a female driving instructor in Denmark Hill, please give us a call on 020 8166 5678 or email us via the contact page by clicking here. Learning to drive a manual car is a lot more challenging and although gears provide greater control, Lanes have found that many students prefer an automatic car. You can’t stall or jerk the gear changes in an automatic so it’s perfect for students who want to progress quickly or are low on confidence. To find out more about automatic driving lessons in Denmark Hill, click here to email us via our contact page. Alternatively, we’d love to discuss matters with you over the phone; just call on 020 8166 5678 today.